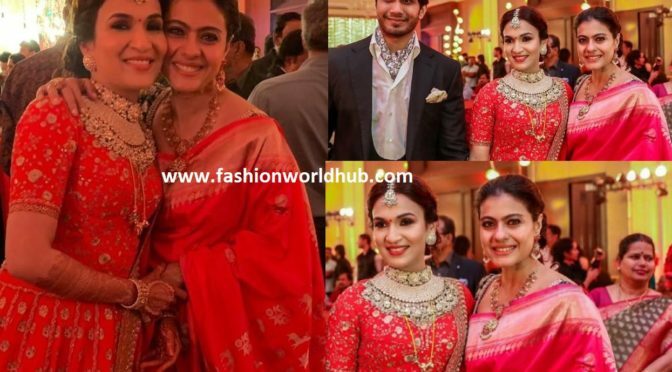 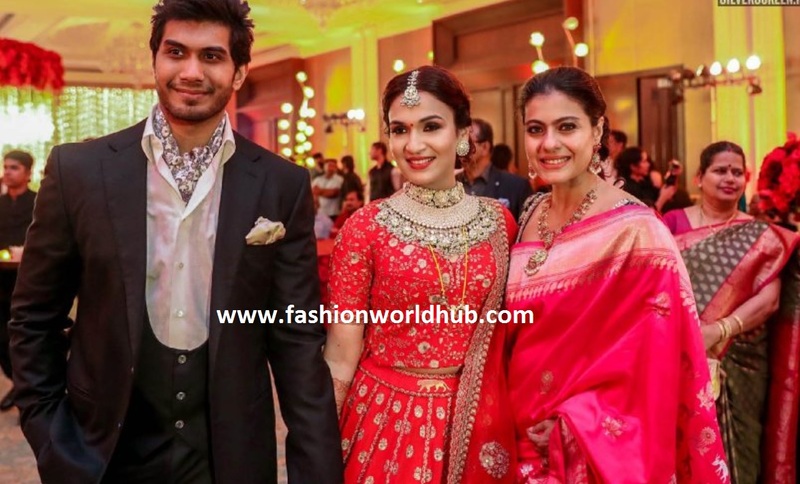 Kajol in Pink silk saree at Soundarya rajinikanth and Vishagan wedding! 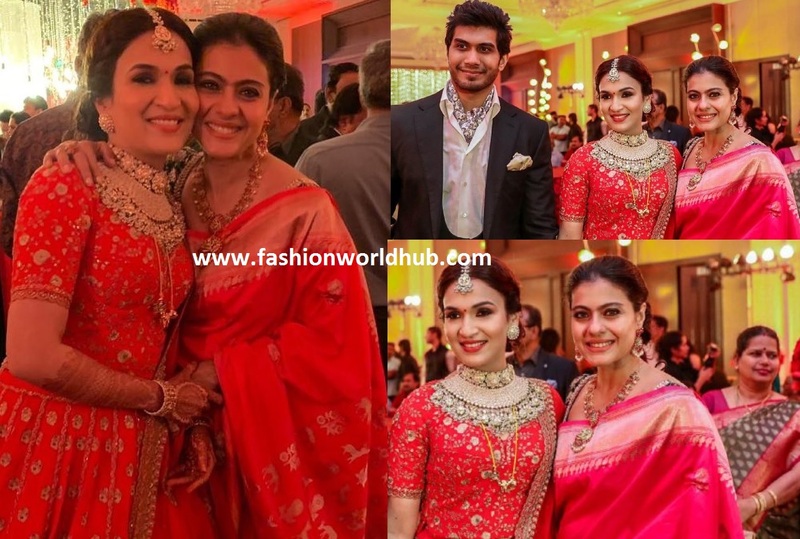 Kajol attended Soundarya rajinikanth and Vishagan wedding and she was snapped in beautiful pink silk saree paired with contrast black embroidery work blouse and she further enhanced her look with rubies necklace , matching ear rings and updo hair rounded her look. 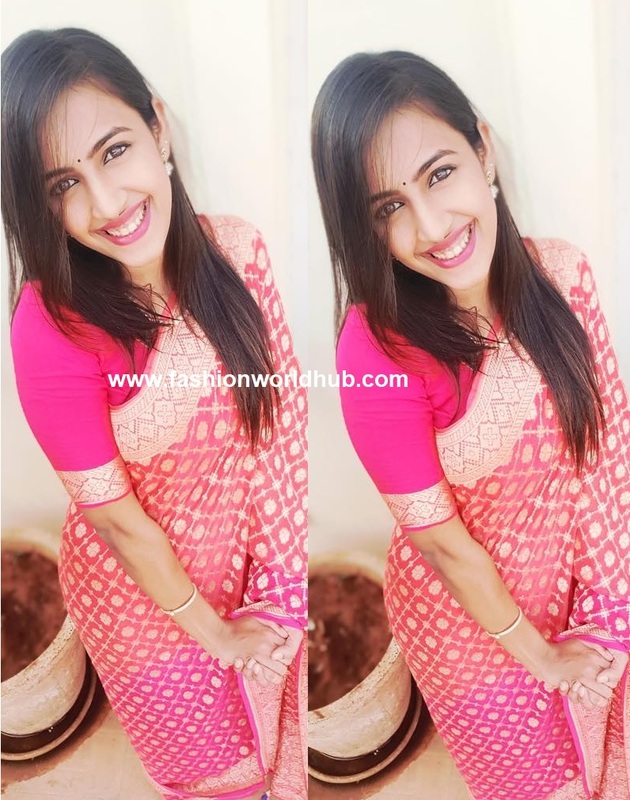 Jahnavi in Pink Silk saree! 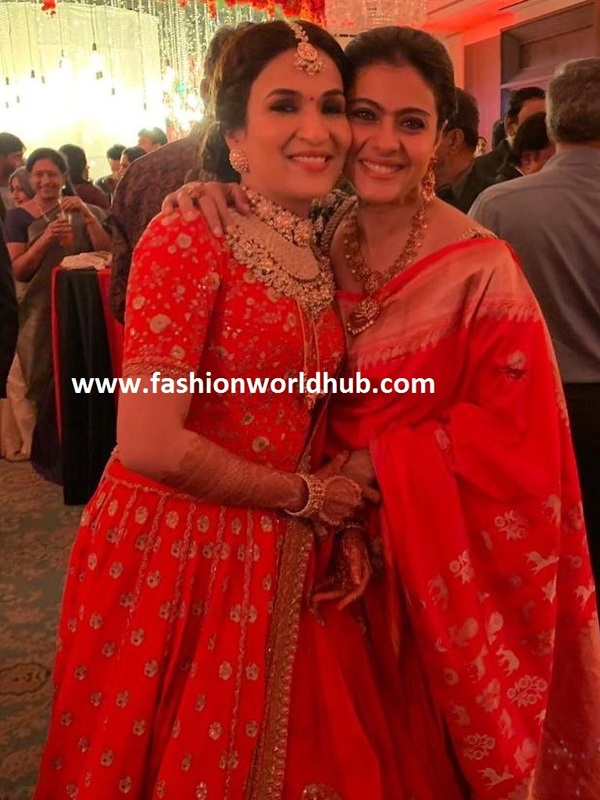 Previous PostPritha hari and Sridevi vijaykumar at Soundarya rajinikanth wedding!Next PostLakshmi manchu in blue banarasi silk saree at Soundarya rajinikanth wedding!